Are you often faced with confusing and complex copyright questions about digital media? Do you need the basic knowledge and confidence to make quick and effective decisions? Do you want to know who to approach, how to approach them and how to negotiate the best deal? This pragmatic and no-nonsense practical working tool will make digital media copyright issues simple to understand and solve when you're struggling with daily deadlines. Providing a happy medium between a 'fingers-crossed' approach and a 'copyright police' stance, both of which can stymie creativity and undermine your organization, this handbook explores the principles of copyright for those with little or no experience. It will help you to develop good practice in clearing and negotiating licenses for use of third-party content in all types of media including video, images and music. With guidelines on the legal side of copyright, it recommends ways to implement a risk management approach using examples and cases which highlight common problems and solutions. 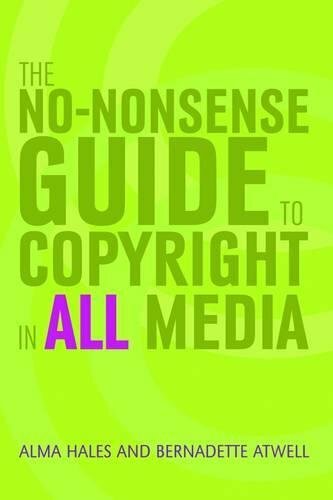 Each chapter offers an accessible introduction to the key areas of relevant copyright and how to approach them including: intellectual property; restricted acts; fair dealing; moral rights; production of content and negotiating licenses; the internet and implicit and explicit licensing; user-generated content including Creative Commons licensing; frequently asked questions related to Copyright in an online environment; overview of the UK Digital Economy Act 2010. This is a vital handbook for anyone creating or using digital media, or those advising on its use, including librarians, academics, FE lecturers and institutional managers. It's also a useful introduction for e-learning content producers and marketing personnel.